...outfit, of course. the ultimate valentine's outfit. i said i've been loving peach as of late, but in the spirit of the day, here's an all out, in your face red and pink valentine's day outfit. 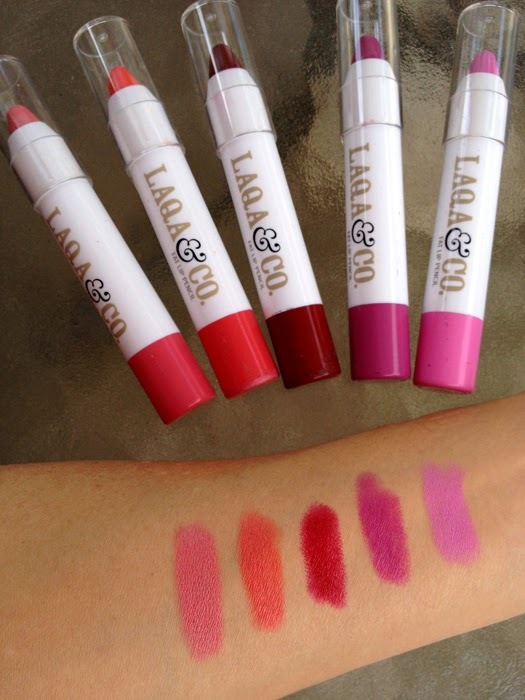 i've also been loving these fat lip pencils from LAQA & Co. they are super creamy and pigmented and glide on with ease. they aren't too drying and are even a bit glossy. plus, they don't require a sharpener...bonus! i've been wearing 'palate cleanser', a deep blood red, from the Fat Lip Pencil Fiver set. if you find that dark colors make your lips look smaller, try extending the color slightly past your natural lips for a fuller pout. I really like the Toots color. 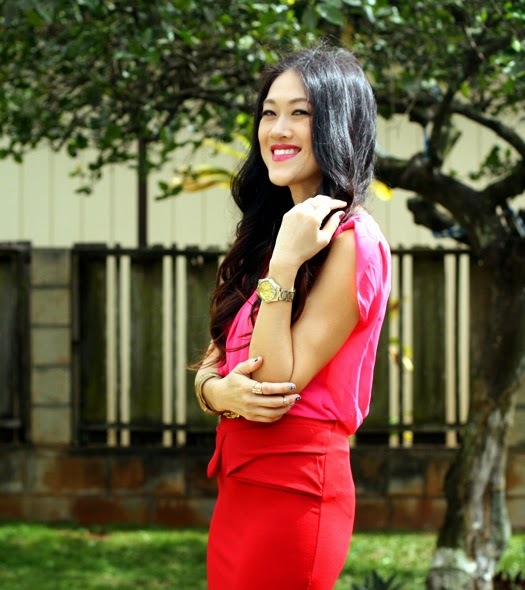 love the pink and red combination! hope you have a sweet valentines ! Youa re stunning! I love this color combo. Gorgeous, simply gorgeous. I want to try those pencils. What a great Valentine's Day outfit! I love the heels! And this lip color looks lovely on you! Such a happy color combo! You look gorgeous and ready for a wonderful weekend out. Those pencils look really creamy and hydrating. Red and pink looks great together! Love your outfit! 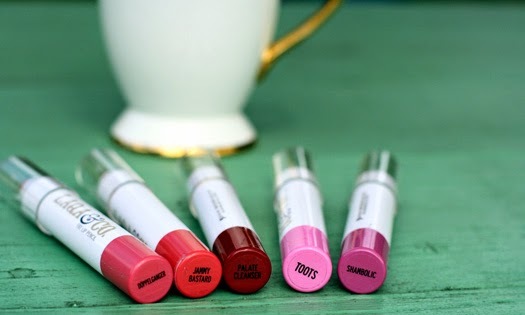 Those lip colors are gorgeous.